*The regular price is the cost a hearing aid clinic must pay the manufacturer for the product, without markup, plus clinic fees. 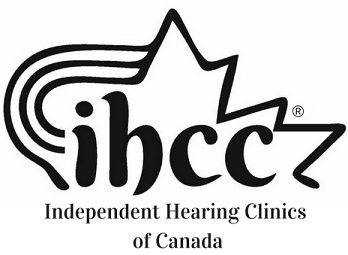 Clinic fees represent labour charges by a hearing aid clinic for clinical services provided. **Our IHCC Value Range includes average client satisfaction with this product from rating sources, combined with accompanying services, and price considerations. The value range reflects variances in both clinic fees and quality of services provided by your hearing clinic. ***Features may vary slightly by manufacturer. Buyer beware! Recent studies tell us that about 50% of those who purchase hearing aids are not satisfied with them. But studies also tell us much higher levels of customer satisfaction of 80%, 90%, and even higher can be achieved through accompanying quality services. Quality, best-practice, face-to-face hearing services do matter. Here's what Jon Elliott, founder of IHCC, has to say about "quality in hearing care"..
"For many hearing clinics, sales has become the top priority at the expense of quality services. Many of those with hearing loss continue to be subjected to incomplete hearing tests. Others have had the wrong hearing aids selected that may not meet their needs and/or lifestyle. Some fall victim to hearing clinics where no hearing aid verification is performed to measure the capabilities or technical specifications of their hearing aid." "IHCC works with progressive clinics to properly integrate critical best practices. These quality-focused clinics are well positioned to earn the trust of emerging markets, both now and well into the future"